New equipment includes a 700 watt two-light kit, product photography light table and powerful video light. 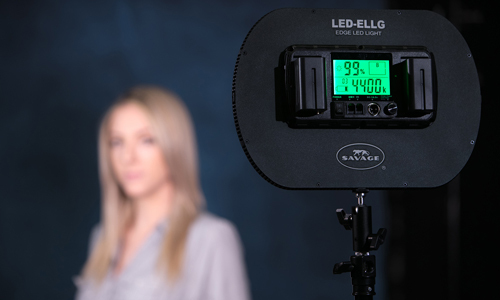 Chandler, AZ (March 30, 2017) — Savage Universal, the worldwide leader in backgrounds and photographic products, is proud to launch several new products in 2017, focused within their professional studio lighting line. The Savage 700W Studio Light Kit is a new, improved light set that was enhanced to make the life of a photographer easier. 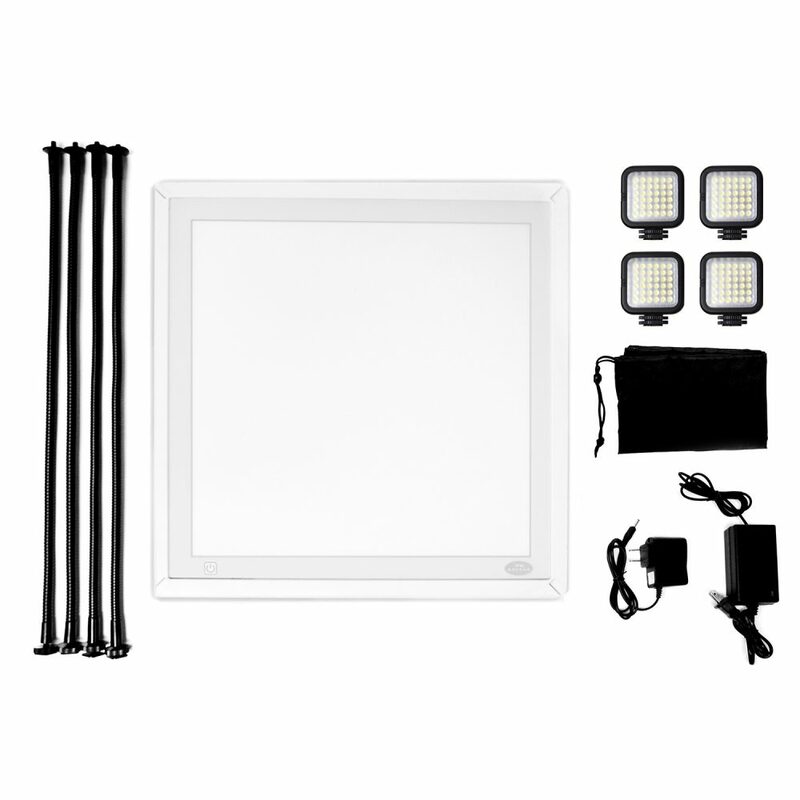 This light kit features two energy efficient, tri-band technology, dimmable LED chip bulbs, providing 5500K daylight balanced light, a CRI of 90 and 20,000 hours of lamp life. Each light’s output is 3,000 lumens at 1 meter while only using 35 watts of power. 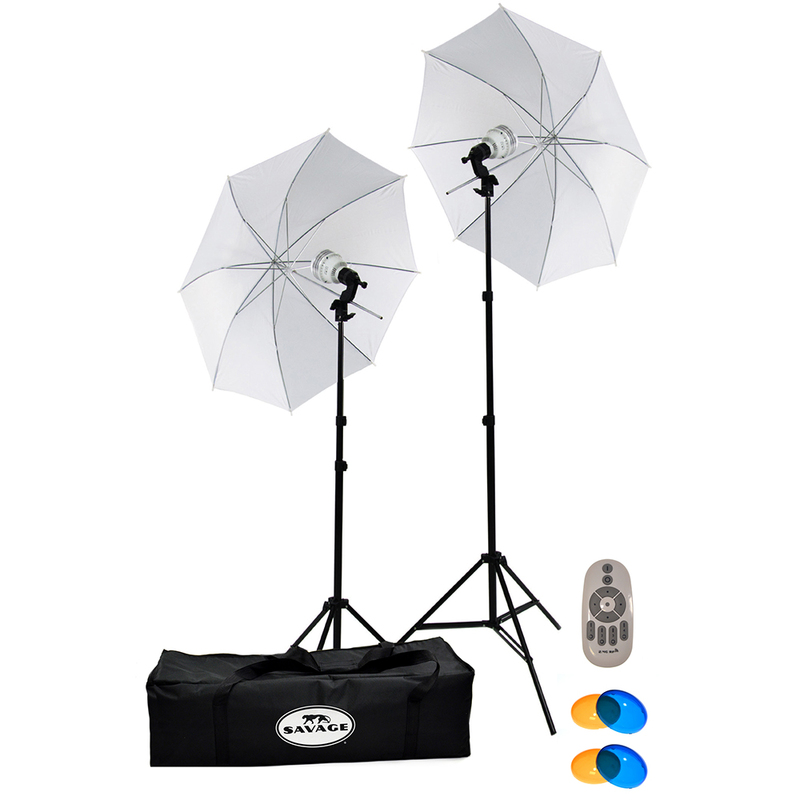 It includes a convenient remote control, warming and blue domes, two portable light stands and a padded carrying bag. 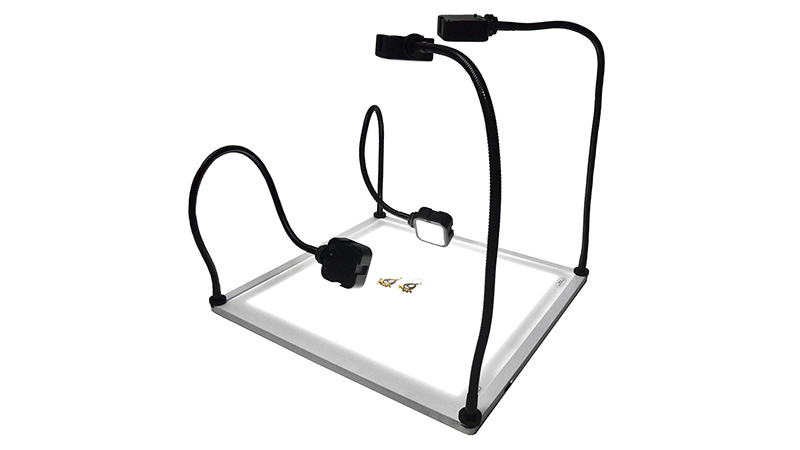 One particularly innovative new LED product is the patent pending Savage Product Pro LED Light Table; a complete setup solution to commercial and ecommerce photographers of all levels looking to capturing professional-quality product imagery that requires little or no post-production, with just the press of a button. 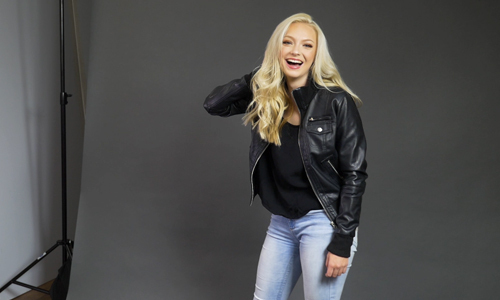 Creative photographers who enjoy experimenting in the studio with custom lighting setups will enjoy utilizing the powerful LED table and overhead lights with colored gels, background sweeps and more, turning bland product shots into something a little more special. The powerful LED light strips inside the table that brightly illuminate evenly across the surface of the table, paired with four flexible overhead 36 bulb LED lights provide a complete background and high-key lighting setup within one kit. 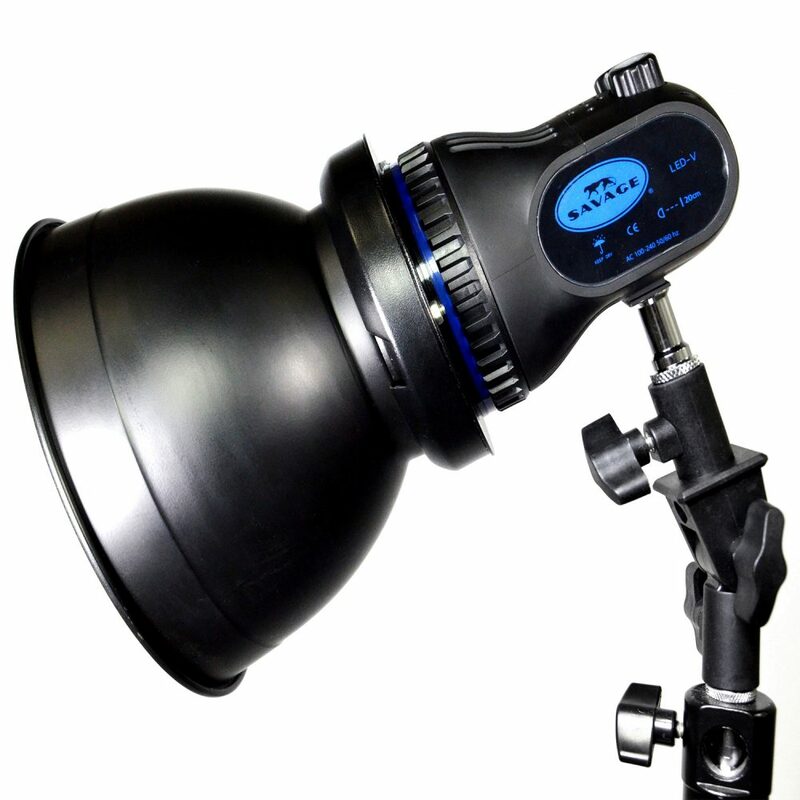 Savage’s new LED Video Light Plus features a Fresnel lens with an output of 3,500 lumens at one meter when used with an included 7” reflector. This dimmable LED light is lightweight, long-lasting and energy-saving, using only 40 watts of electricity at full power. 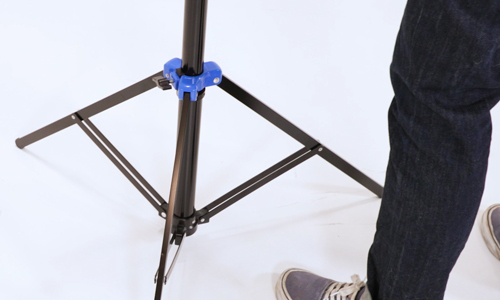 A CRI of 91 and virtually silent cooling fan make it ideal for professional video as well as photo applications. This light comes with a convenient remote control that allows users to easily and quickly adjust power settings from anywhere around the set. “Savage is proud to continue focusing innovation in LED lighting, launching new equipment designs that offer convenience, sustainability and high quality benefits to users of all levels.” said COO, Rich Reiser. 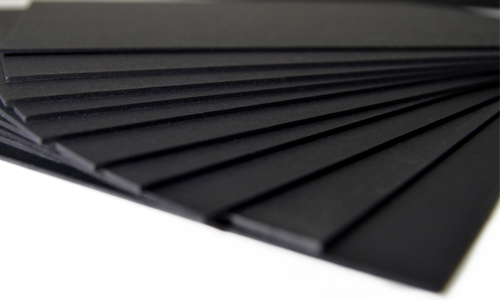 For more information on new LED lighting products from Savage Universal, contact press@savagepaper.com.